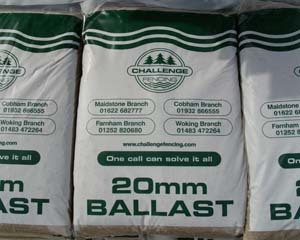 GARDEN AGGREGATES from Challenge Fencing are high quality materials used for installing fencing. By using our GARDEN AGGREGATES you will ensure that your fencing is strong study and ready to face the elements. Many people often spend a long time considering the type of fencing they will use without giving a second thought to the type of aggregate they will use. As the product is generally out of sight, many will see this as an opportunity to cut costs but why risk the security and stability of your fencing with a sub-par product when our high quality aggregate is so fairly priced? Our selection of garden aggregates could not be simpler to use. Why waste time with mixing ratios and mind numbing mathematics to figure out how much you need. Our product pages clearly show how much each bag covers and how to use it. This makes budgeting your project so much easier and allows for more time to be spent planning and actually installing your fencing. 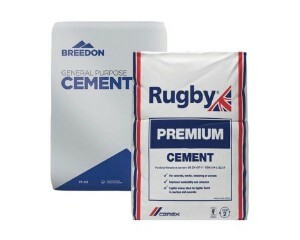 If you choose to utilise our cement for your fencing project, you can rest assured that the cement you will receive is a high quality product with a long shelf life thanks to its internal plastic bag. No matter your fencing needs we’re always up to the challenge. 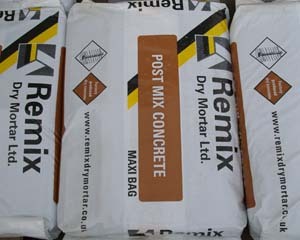 We stock a variety of garden aggregate options: cement, ballast or even post-mix.